Synthetic Turf International is excited to announce that they will be attending the 2019 PGA Merchandise Show in Orlando, Florida, January 22-25. 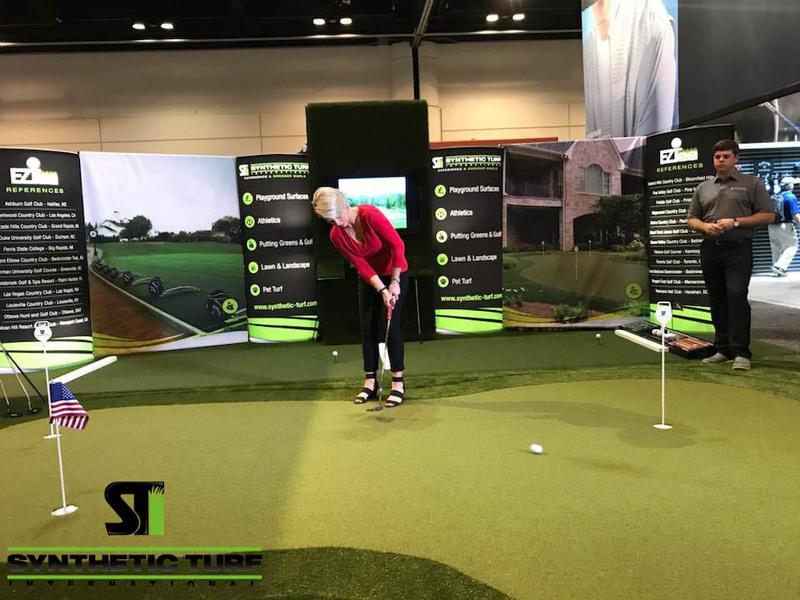 The PGA Show is affectionately known as “The Major of Golf Business.” It is the leading trade show for PGA Professionals and Golf Industry Professionals to come together to find the latest in golf equipment and technology. 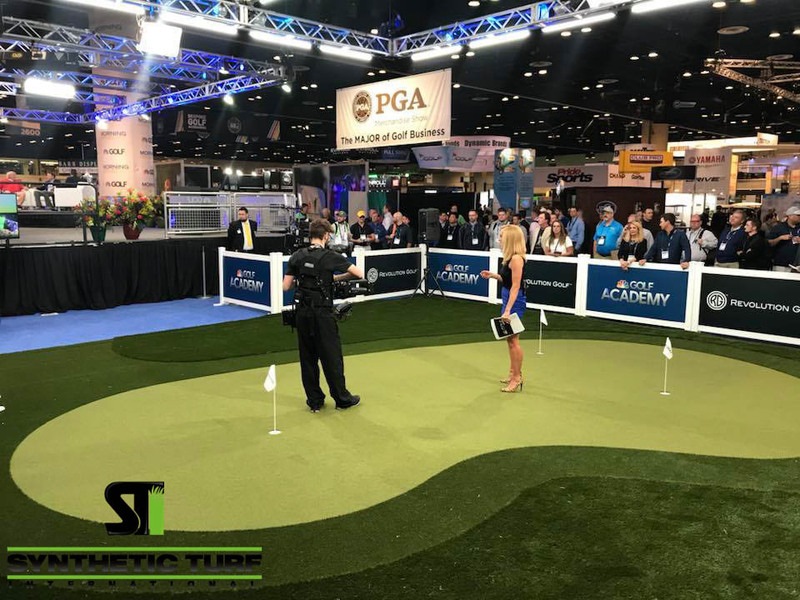 In its second decade of attendance at the PGA Show, STI will be showcasing their EZTee product, which is a synthetic hitting surface with the capability of holding a golf tee throughout the life of the product, and their NP putting surfaces, which are a mainstay at high-end golf facilites around the globe. The clear leader in the synthetic turf industry, STI is the choice, not only of golf professionals and high end courses around the globe, but also of some of the top equipment manufacturers and influencers as well. STI will once again be supplying the putting surfaces for Callaway, both in the show and also at Demo Day, the Golf Channel, Ping and a host of others. 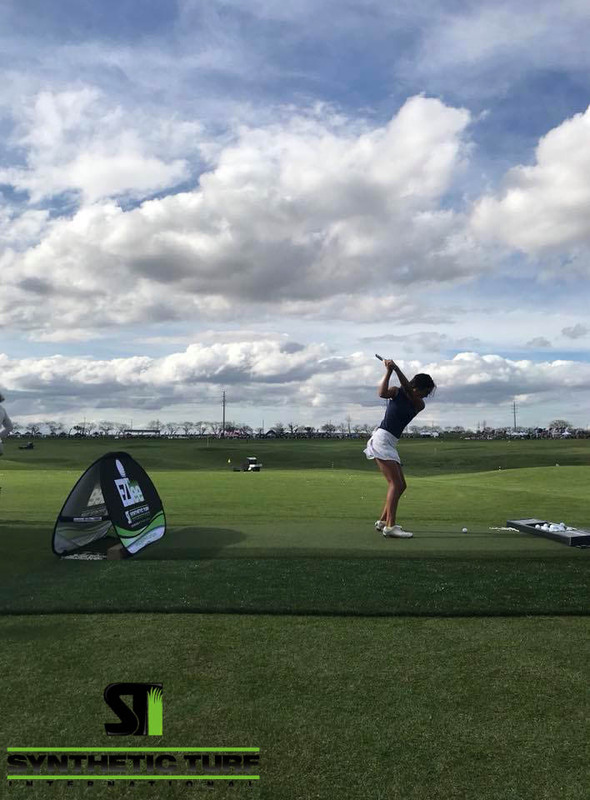 STI will have a booth at Demo Day on January 22 at Orange County National Golf Center, where their EZTee product will be available for testing and demonstration from 9AM to 5PM. They will also be showing on the convention center floor in Booth 1373 January 23-25. Drop by Booth 1373 to Experience A Greener World! Santa Barbara, Pacific Palisades, Bel Air, Calabasas, Malibu, Thousand Oaks, Los Angeles, Santa Monica, Westlake Village, Simi Valley and the entire surrounding region.